This little guy is adorable and he needs help now. hen we first save him he was running and barking but after we left and came back he was acting different. The Volunteer took him to the medical building and hopefully he is doing ok.. He needs help fast. Please SHARE for his life, he's SUCH a cutie and a FOSTER or ADOPTER would save him. 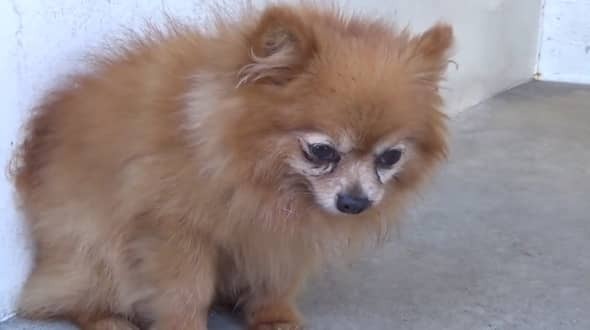 #A5176187 I'm an approximately 9 year old male Pomeranian. I am not yet neutered. I have been at the Carson Animal Care Center since 5/7. I will be available on 5/11. You can visit me at my temporary home at C219. Fidonation, if you or someone you know is interested in giving this pup the forever family he rightfully deserves, please contact the Carson Shelter - 310-523-9566, and reference the shelter ID #A5176187. 0 Response to "Adorable guy heartbreak - in the city where dreams are supposed to be made of, not nightmares"